Buy Monday night Lotto tickets and check lotto results online right here ! Monday Lotto is a great lottery game to play and provides a minimum $1 million as the first division prize. 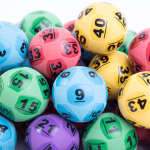 Understanding the rules of Lotto is essential to maximising your investment. 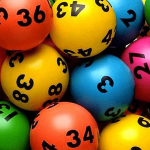 This guide will help new players in the basic structure of this thrilling Lotto game. There are a total of 45 numbers to choose from in Monday Lotto. Players can pick a minimum of six numbers in the weekly draw. To determine the winner of this for of Lotto, a draw is held every Monday night and a total of eight balls are randomly selected. The first six balls are called the winning numbers and are the basis for the main jackpot prize. The other two numbers are referred to as supplementary numbers and are used for other secondary available prizes in the individual lottery prize pools. There are six divisions wherein a player can win a cash prize. Division 1 is for successfully selecting all six winning numbers thus providing the winning player with the highest dividend possible. Divisions 2 through to 6 have prizes awarded based on a combination of some winning numbers, the supplementary numbers and or both. Another factor to consider when selecting your Monday Lotto numbers is the odds for winning the different divisional prizes. If playing a multi game entry, there is a ratio of 504,218 to 1 in winning the Division 1 prize, whilst players have a 19:1 chance to win the Division 5 prize, which requires 3 winning numbers and any supplementary number. To add into this ratio, Monday Lotto also allows various game options aside from the standard 6 number combination. Players can choose to play System entries where they can select between 7 and 20 numbers in an attempt to win the big 1st Division prize. The actual cost for System entries varies depending on the number of selections made. For example, a system 7 entry is slightly more in cost than a standard 6 number entry as the ratio for winning with a system entry is significantly increased due to the higher probability factors. When Can I Play Monday Lotto? To be sure of never missing the lotto draw, check your lottery ticket confirmation email to see when your game is on and remember to buy your tickets online each week for quick and easy convenience. Online Lotto closing times depend on the state of Australia as well. For Oz Lotteries, a NSW Lotteries reseller, the Monday draw closing time is at 6:30pm (AEDT). For Tattersalls, entries close at 7:30pm. How much is it to Play Monday Lotto? For NSW Lotteries, the minimum price per game is 50 cents. To purchase your Monday lotto entries, you can either choose your own preferred numbers or randomly generated ones online here through the website. A ‘Standard’ game is played by choosing six (6) numbers from a selection of 1 to 45. 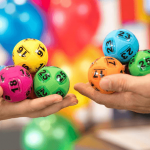 Eight (8) numbers will randomly be selected by lottery officials comprising six (6) regular or winning numbers and two (2) supplementary numbers. If your numbers match the first six (6) selected by the lottery company, then you will win or at least share in the 1st Division prize pool. You can also play ‘Multi-week’ entries for both Monday lotto and other Lotto days, using the same numbers for weeks, months or even years at a time. This is not only a very convenient way to play, but it also ensures you never miss getting your entries in – Especially, if your numbers happen to come up and you forgot to buy your online lotto entry that week! Then there are ‘Systems’ entries, which allows you to choose more numbers per game than the standard (6) and thus increasing your chances of winning. Click Here to purchase your Monday night Lotto entries online. Monday Lotto was started by New South Wales Lotteries in1979. The game’s first-ever draw was held on Monday, November 5, 1979. It was the only lotto played in NSW up until Oz Lotto commenced in 1994. On October 13, 2008, Tattersall’s began selling Monday Lotto in Tasmania and Victoria, with Golden Casket – Tatts operating lotto draws in Qld. Did you know that Monday Lotto is called “X Lotto” in South Australia? “X Lotto” is also played on Saturdays and Wednesdays.